Two of the most heard words in the hot pepper world are chipotle and jalapeño. There are so many products surrounding these two chili types, products that tend to play up their differences. One’s smoky and earthy, the other bright and crisp. Yet, for the pepper scale uninitiated, there’s more similarity than you may first realize. We dive into it all in another PepperScale Showdown. The heat: Is the chipotle hotter than the jalapeño? It typically is, but it shares the same ceiling for spiciness. 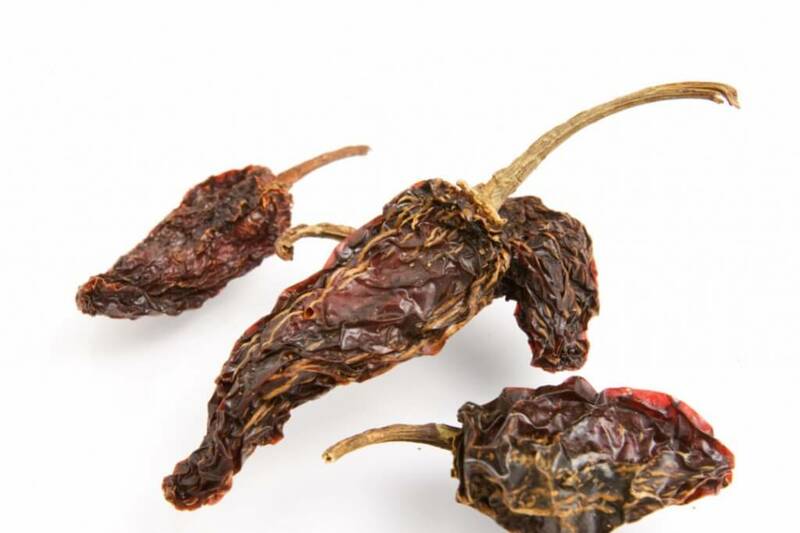 Here’s why: Chipotle peppers are really jalapeños; they’ve just been aged to maturity, dried, and smoked. 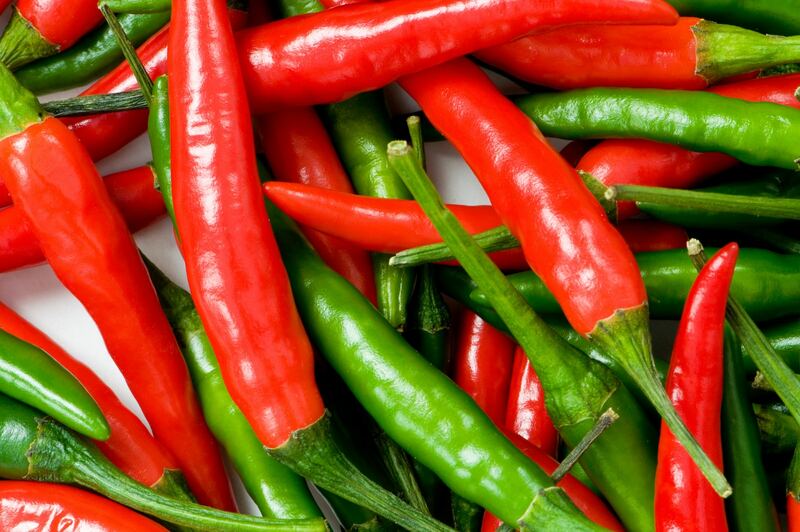 Chipotle are made from fully-ripened red jalapeño peppers, which leads to the heat difference. As chilies ripen, the amount of capsaicin in them increases as well. Capsaicin is the compound that causes the heat in chilies, so these mature red chilies are going to be tapping out at the upper end of the jalapeño’s Scoville heat range (2,500 to 8,000 Scoville heat units). What does this mean? You can get jalapeños just as hot as chipotle peppers, but the average overall heat you’ll experience from a crop of chipotle will be higher than from a similar crop of jalapeño. 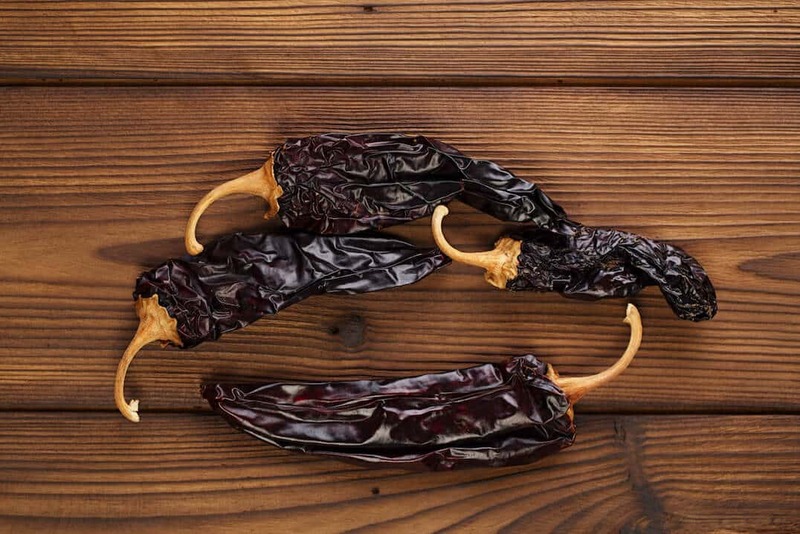 Comparing a fresh chili versus its dried counterpart is like comparing a grape to a raisin. Yes, they have the same roots, but you’d never be able to tell from an immediate glance. Chipotle peppers, being dried, are flat, wrinkly, and dark-hued. Their rusty red coloring and wider appearance (due to the flattening) are what throws people from the jalapeño relation. 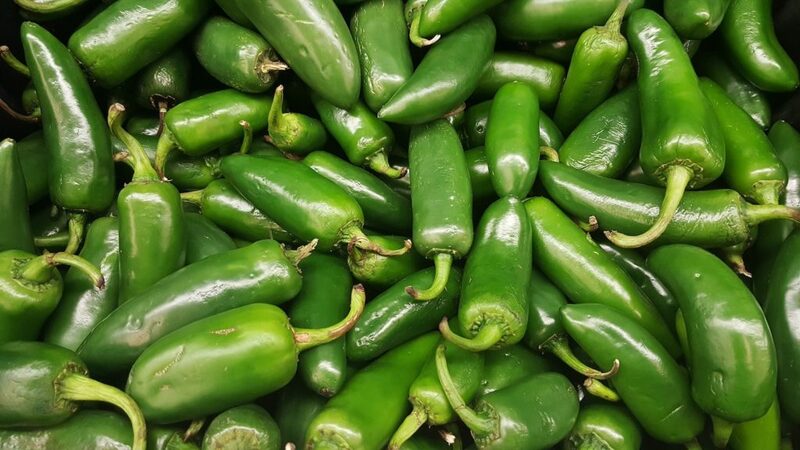 Most jalapeños are picked green – before maturity – for fresh use. 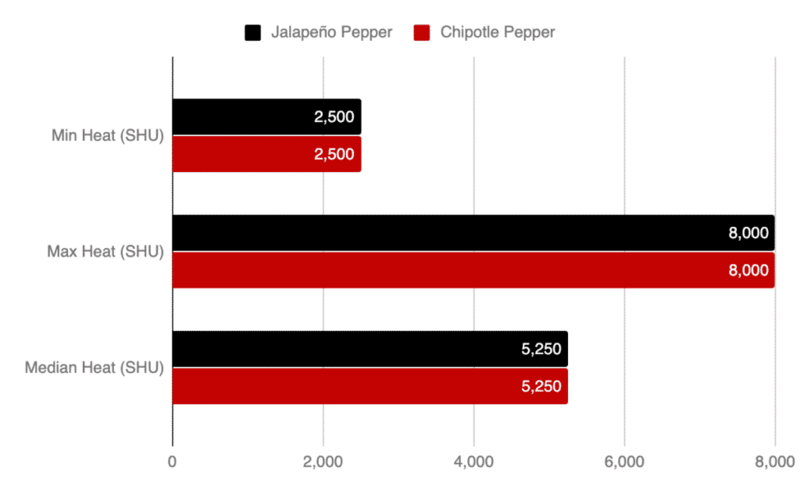 The taste: How does the chipotle’s flavor differ from an jalapeño? Here’s the biggest difference of all. Beyond the heat, they really have totally different flavor profiles. 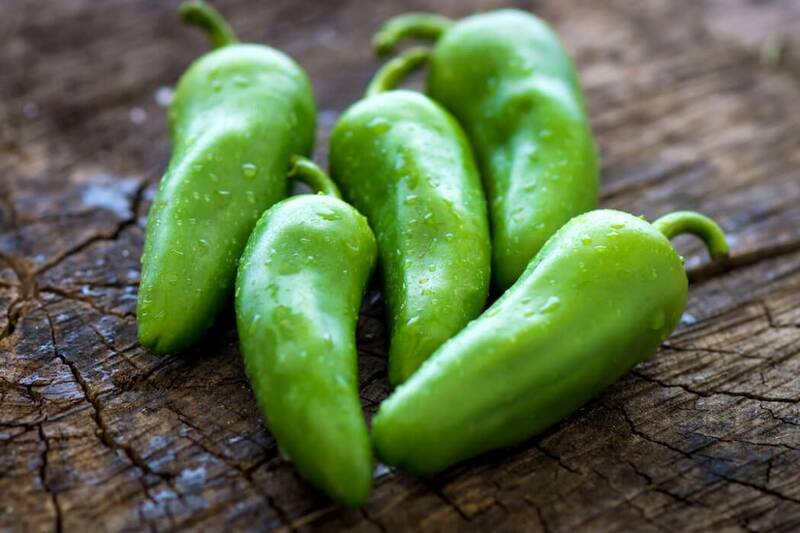 The jalapeño has a crisp, bright bite that’s a favorite for eating fresh on salads, sandwiches, and in salsas. It’s a flavor that doesn’t take over a dish, so it’s perfect too for a heat complement in many recipes. Plus, the taste, along with their thick walls, make the jalapeño one of the best stuffing peppers on the planet. Jalapeño poppers are an appetizer favorite. Chipotle is a different world, yet just as tasty. It’s bold, smoky, and earthy. 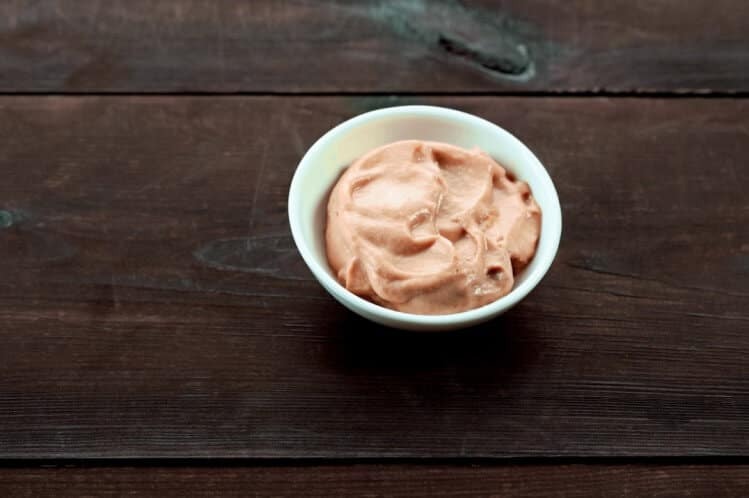 It’s a flavor meant for barbecue, savory sauces, and hearty meals. This is the kind of flavor profile that’ll take over a meal if you’re not careful, but when used just right it can turn an average dish into something amazing. Can you find them at grocers or gourmet stores? Jalapeños own a lot of grocery real estate. They are becoming a staple of the fresh produce aisle, as well as a common ingredient in many grocery-carried hot sauces and salsas. It’s a heat most everyone can enjoy. Pickled jalapeños are available in many supermarkets, too, in the same area you’d find regular pickles. Whole chipotle chilies are not something you’ll find at most supermarkets, though you can pick it up Mexican specialty stores and online. But that’s not to say that chipotle is not a common sight along the aisles. Chipotle in adobo sauce is a very popular ingredient for many international recipes. Plus, chipotle’s smokiness makes it a very popular hot sauce and salsa chili, for instance Tabasco’s Chipotle Hot Sauce. Barbecue sauces and dry rubs, too, love to mix in the smoky heat of the chipotle. Does the chipotle do well as a jalapeño substitute? Or vice versa? So similar, and yet so different – that’s the world of these two chili types. While they are the same pepper, the chipotle and jalapeño don’t make good substitutions for one another. There’s too much flavor difference. There are plenty of jalapeño substitutes and chipotle substitutes out there, though, and many are very easy to find.